As Discovery Channel’s 23rd “Shark Week” comes to a close, it is interesting to see how technology has affected the history of the television series. During Shark Week, Discovery airs shows based around the surreptitious, malefic sea creature. The relatively new television channel began the series as a way to draw in viewers during the off-season lull of television. By playing off of the primeval fears of humanity, the glorious break from the monotonous reruns of summer television sparked the interest of the world. Advances in camera lenses, editing software, and television viewing have provided audiences with awe-inspiring shots and new knowledge about the cartilaginous ocean-dwellers. In 2000, Discovery provided 3D glasses to viewers through the Discovery Channel Store and LensCrafters. Yes, the dreaded blue-and-red-lensed glasses that gave us all headaches were promoted by Discovery. They were used in a show featuring 3D segments involving a gargantuan, extinct shark. Mythbusters, an Emmy-nominated Discovery program, created a special on the original summer blockbuster, Jaws. Adam Savage and Jamie Hyneman, the show’s energetic and bearded hosts, sunk their teeth into the mythos of the film. Through simple mechanical engineering, they were able to see if a punch in the schnoz would ward off a curious shark, if a shark cage is truly impenetrable, and if Brody’s magical shot could have blown “Bruce” to pieces. Later tests were performed to determine whether color aggravates sharks, if their skin can be used as sandpaper, and if sharks can detect human blood in water. These myths were proven plausible or busted through meticulously controlled scientific environments. Beginning in 2005, Discovery began offering high-definition programming to its various international markets. 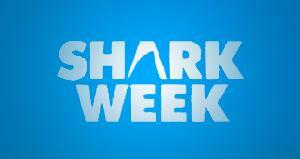 Shark Week then became a 1080p spectacle for premiere viewers, a far cry from the horrific 3D glasses. In 2009, advances in HD nightvision camera technology allowed the channel to air Shark After Dark, introducing Discovery’s perennial audience to a new side of the shark. The most current and evident change in technology comes in this year’s special Ultimate Air Jaws. 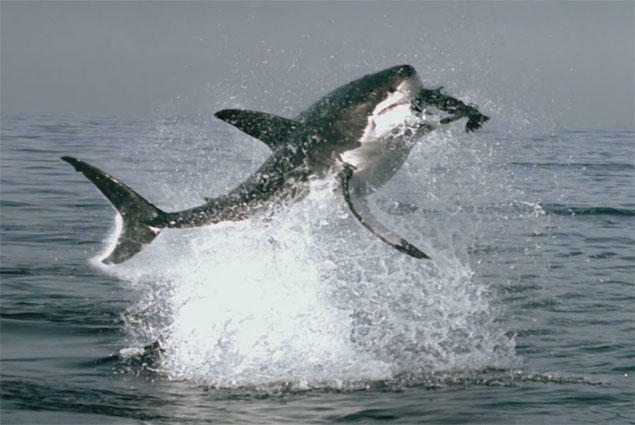 The groundbreaking series, whose two original installments aired in 2001 and 2002, pushed the envelope in its time, capturing two full breaches of the most feared shark, the Great White. This year, the series introduced über-high-speed cameras to the series. This camera allowed the team responsible to capture a full breach at 2,000 frames-per-second, about 66 times more than the average recreational camera. Note – No sharks were harmed in the making of this article.